If you look through your phone now, there’s a decent odd that you’ll find some apps that you rarely use, they occupy space, and some of them could surreptitiously be mining your data even without your knowledge. 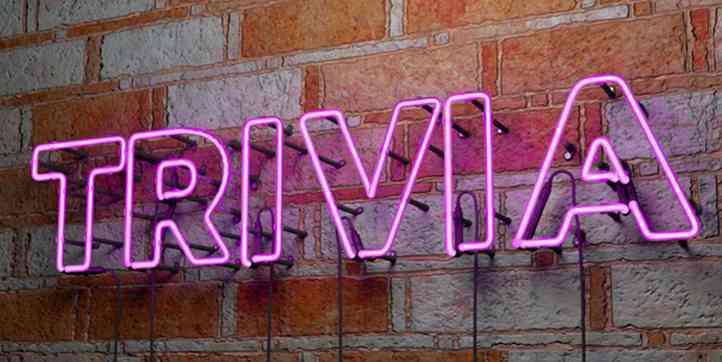 However, in the last couple of months, both the App Store on iOS and Google Play Store on Android have witnessed the explosion of live trivia game show apps. 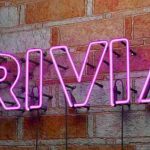 These apps allow you to answer trivia questions for a chance to win a slice of their prize money – and the best part is that these games are informative and fun. Below is a round of the most-popular live trivia apps, their unique selling points, and what users have to say about them. HQ Trivia is arguably the most popular live trivia game show in the market right now. It is a simple trivia game in which you try to answer 12 questions in rapid fire succession. If you miss the answer to a question, you are out of the game (if you don’t have an extra life), you can watch but you can’t play until the next session. At the end of the game, all the players left in the game get a slice of the price money – the price money is usually $5000 on weekdays and $25,000 in a last-man-standing style. Occasionally, the price money could go as high as $100,000 during some sponsored games. Game schedule: 3:00PM EST and 9:00PM EST on Weekdays and 9PM EST on Weekends. That’s Right! is another live trivia game show fast on the heels of HQ trivia in terms of popularity. In the last few months it has recorded more than 25,000 downloads and it has more than 6,200 players simultaneously in each game. That’s Right! players get to answer a string of 10 questions in a fast-paced game in which each question must be answered under 10 seconds. For every question you answer correctly, you earn a reward ticket and the speed at which you answer the questions also determines the amount of reward tickets you get. At the end of the game, all the tickets will be entered into a raffle draw in which a winner will be selected. Hence, you don’t have to answer all the questions correctly before you can earn a part of the prize money. SwagIQ is an HQ Trivia wannabe in which players are required to answer a series of trivia questions with multiple choice answers. Players need to answer every question under 10 seconds and they are eliminated if they miss the answer to a question or if they run out of time. Interestingly, SwagIQ takes a different approach in in that it doesn’t give winners cash at the end of the game. Rather, SwagIQ gives out SwagBucks which they can redeem for gift cards to be used at popular retailers; winners can also exchange their SwagBucks from cash through PayPal. You can also redeem your SwagBucks for an extra life during the game for a chance to continue in the game. Live.me Quiz Biz offers an interestingly different outlook on live trivia games in that it is built atop the popular Live.me platform. LiveMe itself is a video chat app where influencers across a wide range of topics and audiences converge, share content, and collaborate. The Quiz Biz live game show requires viewers to attempt answering 12 trivia questions for a chance to win a part of a daily prize money that could go as high as $50,000 jackpots. The fact that Quiz Biz is layered on a social network makes the game feel livelier and more populated than HQ Trivia’s comment session.